Germany's Kolbenschmidt Pierburg and Sweden's Trelleborg will get more work from Ford. DETROIT -- With the latest additions to its list of preferred suppliers, Ford Motor Co. last week signaled a major emphasis on improving fuel economy. Ford included eight powertrain companies among the 16 suppliers added to its list -- the first addition since August 2008. The eight: BorgWarner Inc., Denso Corp., Emcon Technologies LLC, Kolbenschmidt Pierburg AG, Nemak SA, Piston Automotive LLC, Saturn Electronics and Engineering Inc. and Trelleborg AB. Suppliers selected under Ford's Aligned Business Framework are rewarded with long-term deals that allow early access to product development programs. 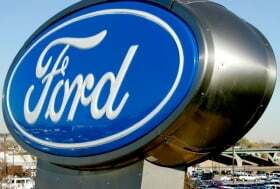 "This was a very strategic move for Ford," said Bob Kittle, head of Kittle Group, a consulting firm in the Detroit area. He said the selection of powertrain suppliers is aimed at meeting new requirements for corporate average fuel economy. The new members bring to 82 the number of companies in the Aligned Business Framework -- 59 production parts makers and 23 nonproduction suppliers. The program, which began in 2005, outlines terms of collaboration between Ford and selected suppliers, including upfront payment of engineering and development costs. Purchasing chief Tony Brown said Ford is identifying more suppliers for long-term relationships, while reducing its total number of suppliers. Ford seeks to reduce its supply base to about 750 production suppliers eligible for major sourcing. Ford had 3,300 production suppliers in 2004. By the end of last year, the number had declined by about half.